NEGRON Consulting offers a wide-range of Organizational and Leadership Development assessment tools, services, and workshops. To better identify and quantify the needed baseline information, we work closely with our clients to understand their targeted outcomes, and then evaluate and recommend the appropriate assessment instrument. NEGRON Consulting utilizes various 360-Degree assessment tools, including Emotional Competence Inventory (ECI) and Resilience Factor Inventory (RFI) for individuals and companies. These specific 360-degree tools are extensively used, statistically validated, and comprehensive. These two tools also include additional elements to be factored in on the value of the feedback, such as 'rater familiarity'. These two factors can influence how the feedback is viewed from a credibility perspective. An additional instrument used by NEGRON Consulting is the Lominger Leadership Architect Program. When used in conjunction with an individual's manager and peers, for example, a "360" view is provided. The ECI is a 360-degree tool designed to assess the emotional competencies of individuals and organizations. The Emotional Competence Inventory measures 18 competencies organized into four clusters: Self-Awareness, Self-Management, Social Awareness, and Relationship Management. The multi-rater 360-degree ECI Assessment, developed by Dr. Daniel Goleman and competencies from the Hay Group, can be delivered with comprehensive feedback by our ECI-accredited coaches and consultants. RFI is the only research-based assessment tool empirically validated to accurately measure the 7 Resilience Factors (Composure, Self Control, Problem Solving, Mastery, Optimism, Empathy, Reaching Out). The RFI is a 60 item inventory that is available both as a self-rater and as a 360-degree (read more) multi-rater instrument. The multi-rater 360-degree RFI Assessment, co-developed by the Hay Group and Adaptiv Learning, can be delivered with comprehensive feedback by our RFI-accredited coaches and consultants. The purpose of the Myers-Briggs Type Indicator personality inventory is to assess psychological preferences in how people perceive the world and make decisions. KTS is a self-assessed personality questionnaire designed to help people better understand themselves and others. It is closely associated with the Myers-Briggs Type Indicator (MBTI); however, there are significant practical and theoretical differences between the two personaility questionnaires and their associated different descriptions. Keirsey places greater emphasis on sensing / intuition (concrete / abstract) with a focus more on behavior, which is directly observable, as opposed to the MBTI's focus on how people think and feel. The FIRO-B is a highly valid and reliable tool that quickly assesses how an individual's interpersonal needs can shape his or her interactions with others. This reliable self-report instrument offers insight into an individual's compatibility with other people, as well as providing insight into that person's own individual characteristics. The focus of the measures are Expressed Behavior (prefers to do), Wanted Behavior (how much a person wants others to initiate an action and be a recipient of said action), Inclusion (recognition / belonging / participation), Control (influence / leading / responsibility), and Affection (closeness / warmth / sensitivity). DISC is the four quadrant behavioral model based on the work of Dr. William Moulton Marston to examine the behavior of individuals in their environment or within a specific situation. It therefore focuses on the styles and preferences of such behavior. Dominance, Influence, Steadiness and Conscientiousness are the four dimensions upon which the assessment of behavior is tested, using a person's preferences in word associations. As a relationship building tool, the SDI is used in a great variety of settings with a number of different groups of people. It is unique because it is a motivational assessment tool as opposed to being a behavioral assessment. The SDI goes below the surface of behaviors into the motivations and the values that underlie and influence those behaviors. By understanding what motivates us in our lives to do the things we do, we can better manage our behaviors, and in turn, our relationships with others. The SDI has been used in corporate setting for team building, conflict management, leadership development, change management, organizational development, and communication enhancement. It has also been used successfully in workforce development, teams and groups, or even across an entire organization. 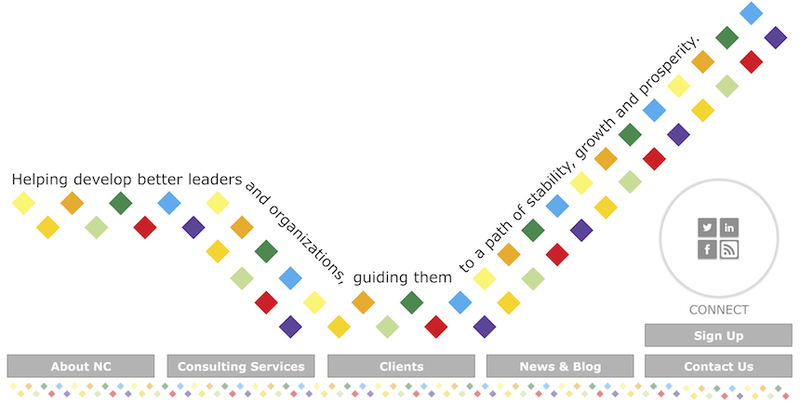 "The Leadership Architect® Suite is a comprehensive, integrated set of tools that gives executives, managers and human resource professionals the ability to put research-based leadership and organizational development best practices into action2 for everything from organizational development and job profiling, to coaching, selection, training, individual development, team development, talent management, succession planning and more. A self-guided coaching workbook developed by NEGRON Consulting President & CEO, Michael J. Negrón, The Octagon COACHING Model is an eight dimensional process through the stages of coaching, and professional and personal development. Through questions, exercises, and several thought-provoking motivational images, TOCM helps the client to gain new insights, identify barriers to growth and set goals. The increase in self-knowledge and self-awareness leads to simple and sustainable solutions. NEGRON Consulting offers a wide-range of Organizational and Leadership Development services, assessment tools and workshops. To better identify and quantify the needed baseline information, we work closely with our clients to understand their targeted outcomes, and then evaluate and recommend the appropriate instrument. Learn more below About NEGRON Consulting, our Consulting Services, the Clients we serve, our Training and Experience, and the Workshops we offer.